This two day camp is designed to help each camper develop their fundamentals and skills pitching & catching the baseball. Campers will be taught a variety of drills in order to develop proper mechanics. Strength and conditioning for campers will also be included during camp. All campers will need to bring their own baseball hat, glove, turf/tennis shoes (and cleats if they want) and catchers gear. Please make sure the campers name is clearly printed on all pieces of equipment that he brings to camp. All other equipment will be provided. 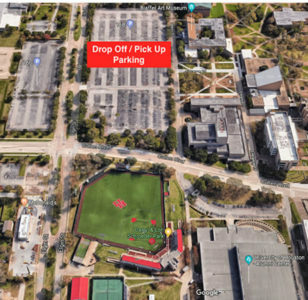 Here at the University of Houston be will be using beautiful Darryl & Lori Schroeder Park for drills and games throughout the camps along with Yeoman Indoor Facility and the UH Batting cages down the LF line. Camp will be held rain or shine. Please make sure you sign up using an email account that you frequently check as this will be how I get information about the camps to you. Having the proper email account will help to eliminate any miscommunication. Per NCAA rules all camps and clinics held by the University of Houston are open to everyone, enrollment is only limited based on age, grade level or number restrictions be each camp. Please make sure that you know the drop off and pick up times for your camp. Check in will start at 9:00am Monday morning. Waiver & Medical Release Form will be attached to your e-mail confirmation. It is also available in this camp listing. There will be UH merchandise (hats, shorts, DVD's) for sale each day of camp, the table will be set up in the mornings at drop off, lunch and again at the end of the day for pick up. Full time trainer on duty throughout completion of camp.